The old saying that “Anything is easy if you have the right tools” is particularly true in modeling; the proper tools will simplify any job. The hardware and tools here will help you with your next project, whether it’s a quick-assembly ARF or a complete scratch-build. This Dremel tool offers a contour-grip design with the latest in lithium-ion battery technology. This tool feels almost like an extension of your hand and allows precise control. This is a tool that gets a workout on every project we do, and it’s equally valuable in the workshop and as a field-box tool. With the tremendous variety of materials it can cut, the Dremel Stylus is one of the most versatile tools around. Whether your plane runs on gas or glow, you will need to cut and bend tubing for it. The K&S Cutter can cut tubing of up to a 5/8 inch diameter without crimping it. 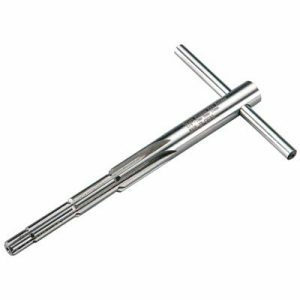 The easy-to-use bender works well on tubing of up to a 3/16-inch diameter and allows you to bend it without crimping it. Tired of nursing your sore fingers after you’ve threaded on all the clevises? Then this tool is just what you need! It makes installing swivel ball links, nylon clevises and cup-style ball links quick and easy. Sanding is never fun, but the Easy-Touch Contour Multi-Sander and Hand Sander make the job much easier. We use three of each size, one for each grit: coarse (80), medium (150) and fine (180 or 220). 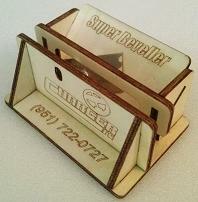 This miter box offers many features that make cutting balsa and other woods a simple job. It can handle material as wide as 2 inches and as thick as 1/4 inch. 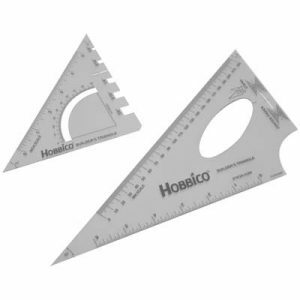 It enables you to make straight cuts as well as angled cuts of 22.5, 30, 45 and 60 degrees. The best things about this miter box are the three cam clamps that hold the material firmly in place while you’re cutting. A Z-bend is probably the easiest way to make a solid connection on at least one end of a pushrod (save the other end of the pushrod for an adjustable connector). These Z-Bend Pliers make this and many other jobs considerably easier. 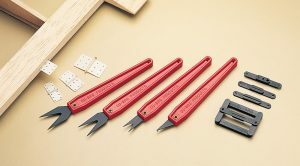 This slotting kit takes the hassle out of cutting or reopening hinge slots. Included in the kit is a center guide that fits any type of hinge and helps you achieve perfect alignment slots. The most important way to guarantee a successful first flight is to balance your plane properly. For this important step, we rely on the Great Planes C.G. Machine for all but the largest airplanes. This tool is easy to use and is much more reliable than balancing the plane by picking it up by its wingtips. This is an essential tool. It seems as though whenever we use new props, the hole almost always has to be enlarged. The only sure and safe way to do this is with a prop reamer such as the one from Great Planes. Using a hand drill or a drill press means that you run the risk of off-centering the hole and rendering the prop useless. This will never happen with a prop reamer. A squarely built plane will fly well and true. At some point, every ARF that you build will require the rudder to be squared up with the stabilizer. This tool simplifies that task. If you like to build flat foamies, you will love this tool. With one simple pull across any control surface, it makes a clean, perfectly beveled cut that is ready for hinge tape. This tool is just the ticket for marking the exact location of the mounting hole in an engine or motor mount, but we also like to use it to mark the locations of the servo-mounting holes and for other critical hole placements. Sometimes, we modelers need only a quick trim on a stick of balsa, and one way to do this is with a hobby knife. A much more accurate and cleaner method of cutting sticks of balsa, however, is to use the Midwest Easy Cutter Ultimate. Set the fence on the cutter at the angle of the cut, and make as many repetitive cuts as you need. Balancing your prop is an absolute necessity; it saves wear and tear on the plane and on the motor. One of the best ways to do it is with a Tru-spin prop balancer. This tool can handle props, spinners and rotor heads of any size and results in a precise balance every time. What is better than the GP Plane dumper is a Vanessa Rig. Simple to make with a block of wood, a dowel rod, some hooks and string. Much more secure for the plane and your sanity than trying to balance it on the tips of those rods. 🙂 Also don’t forget other essentials, like Netflix/Amazon Prime, and a cat. As a precautionary measure I have three cats. Just in case. I would like to know more about the Vanessa Rig. I have a GP Balancer. Does anyone make a pliers type tool for aligning or straightening landing gear 1/8″ music wire already installed on the plane and not easy to remove? Peter – not an easy task but, depending upon where the bend you’re trying to get out is, use (2) pair of standard pliers. The first pair will be used to keep the LG stationary near the fuselage so you’re not stressing the airframe or LG mounts. The second to make the actual bend back to where it should be. I have also used the adjustable “Channel lock” type pliers for this job which may give you more leverage. I found the GP Balancer too wimpy and bought an EZ Balancer light. Works great.